All too often, with accepted offer in hand, buyers and real estate agents are forced to play the waiting game while a conventional lender or bank goes through the process of final loan approval. Needless to say there are several differences between these lenders and hard money lenders, but for now, let’s address this one. One of the most fundamental elements in approving a conventional loan is of course the borrower’s credit rating. If you’ve been following the real estate industry over the last several years, you’ll know that regulations have essentially forced banks and other conventional lenders to require increasingly higher credit ratings before any loan approval gets through the system. Hard money lenders, like us however, are not under the same constraints as traditional lenders. We successfully fund hard money loans for borrowers who, more often than not, don’t meet the minimum credit rating criteria that conventional lenders are bound by. Now, if there’s one thing that we’ve come to understand over the years, it is that an individual is not defined by their credit score. Many have been victims of an economic downturn or other circumstances that were simply beyond their control, and have been fighting their way back successfully for a sustained period of time. In fact, we often discover that they are actually in very strong financial situations: it’s just that their credit scores don’t yet reflect that fact. When you’re sitting on a far-away, corporate loan committee, it’s impossible to understand this. But when you’re a California hard money lender, like Evoque Lending, and you’re sitting across the table or desk from the borrower, you can better understand the situation. – The value of the property. You see, neither of these two main factors have anything to do with a credit rating. It’s a fact that today a lot of solid borrowers are recovering from going through a time in their lives when they were stuck with a low credit rating. 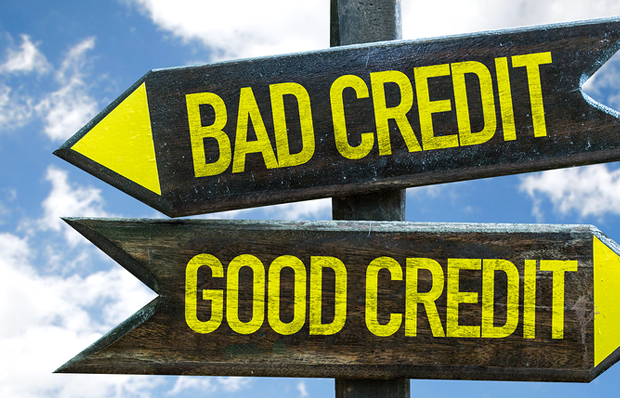 At Evoque Lending we know that we need to look beyond the credit rating. After all, even corporate bankers will tell you that you can’t tell if borrowers can make their payments this month based on a credit score that reflects things that have happened many years ago. By the way, many people who want to buy their first home, get into investment property, or refinance existing real estate, discover that a California hard money loan gives them the means to boost their credit scores and finally get back into the “good graces” of the conventional lending industry. In fact, using hard money loans, Los Angeles residents with credit score problems are often able to buy property and quickly secure conventional loans. By having our office staffed with local experienced experts, we are able to give our borrowers the individualized and timely assistance they need. Evoque Lending can give you the answer you require within 24 hours. This is one of the best aspects when working a hard money lender – San Francisco, Los Angeles and California residents soon discover. In addition to a quick – and final – answer on your loan approval, we are able to fund California hard money loans within seven to 10 days. Being able to fund your hard money loan so quickly can truly save the day. I can’t tell you how many clients we have had over the years who thought their California real estate deals were going to fall through, but we were able to make them happen. So, is your credit score the end-all be-all to securing a loan in order for you to move forward on that property or investment that you have your heart set on? Absolutely not. Not if you are dealing with a lender who has been there done that countless times with someone who has been in your exact situation. This entry was posted in borrow money, General, Lending, Submit Loan and tagged California hard money lender, California real estate, hard money loans, home loan, mortgage broker, real estate. Bookmark the permalink.